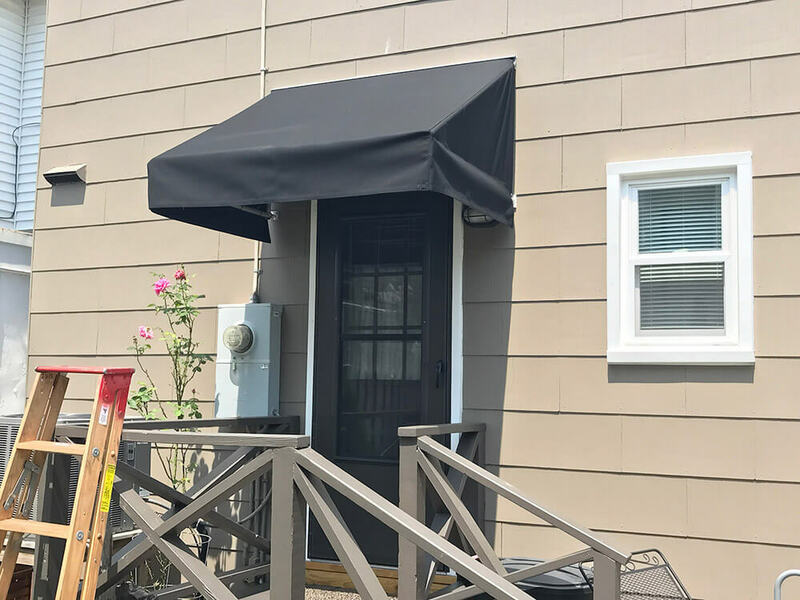 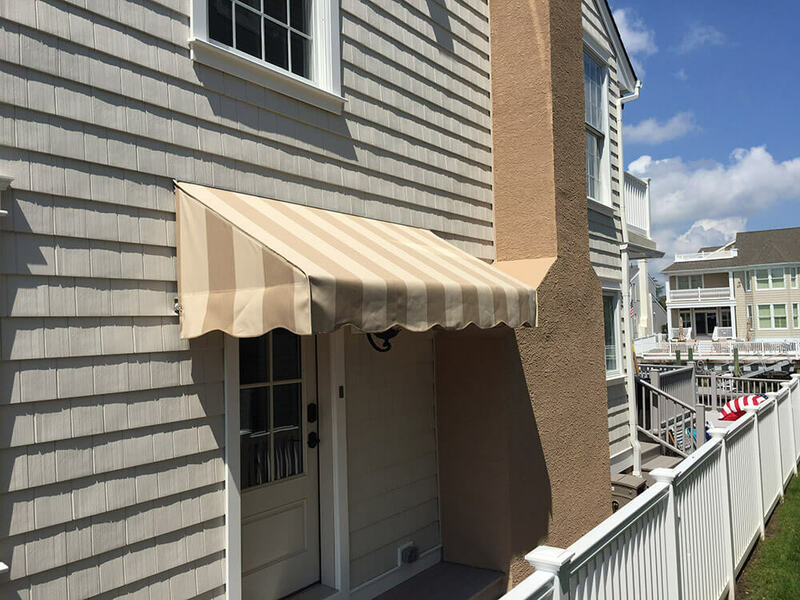 A doorway awning is a popular solution many of our customers use for a small cover over their entry door. 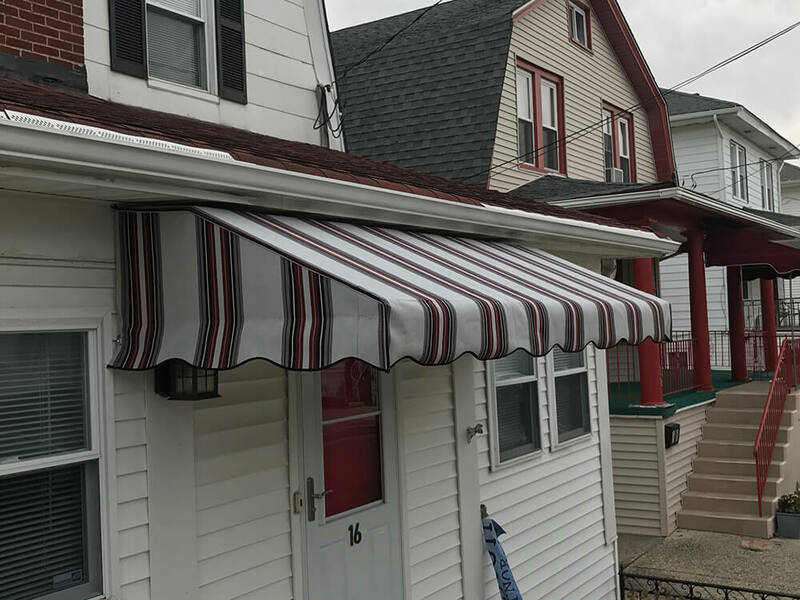 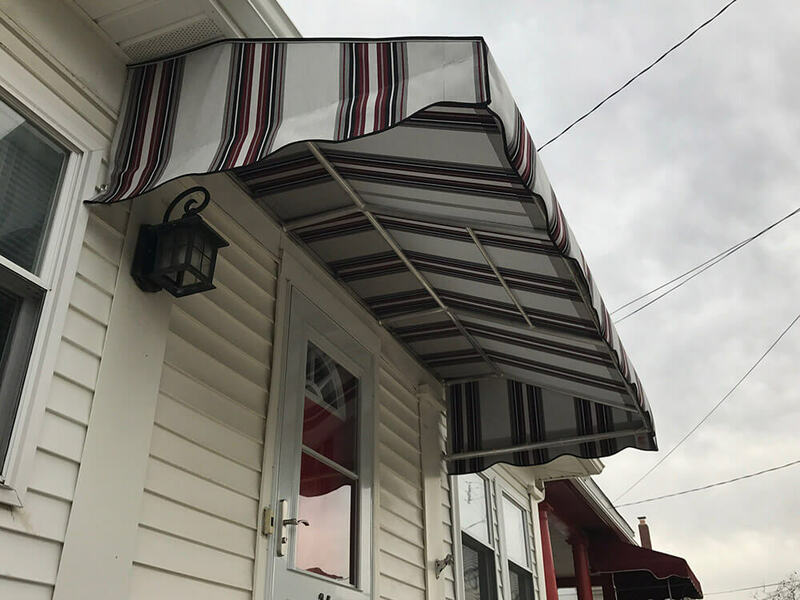 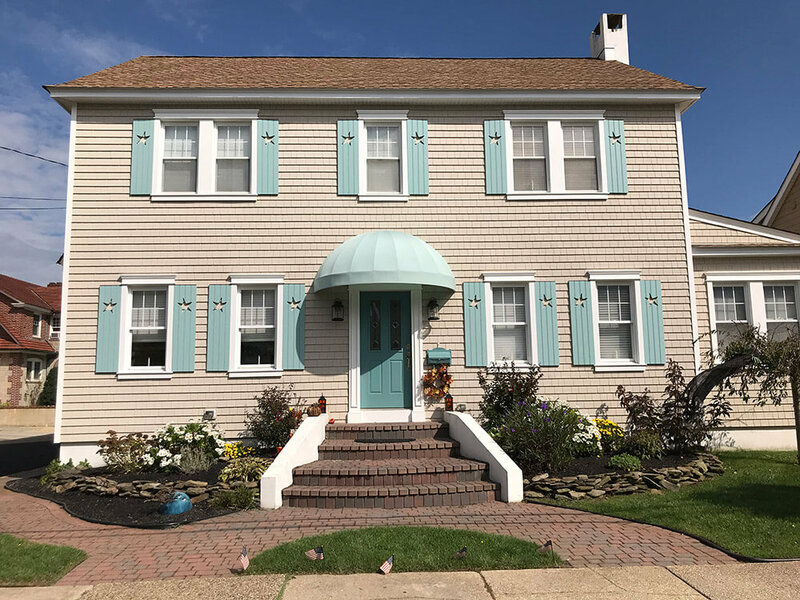 Made using a welded aluminum frame, these awnings are built to stay up year round and provide protection from all four seasons. 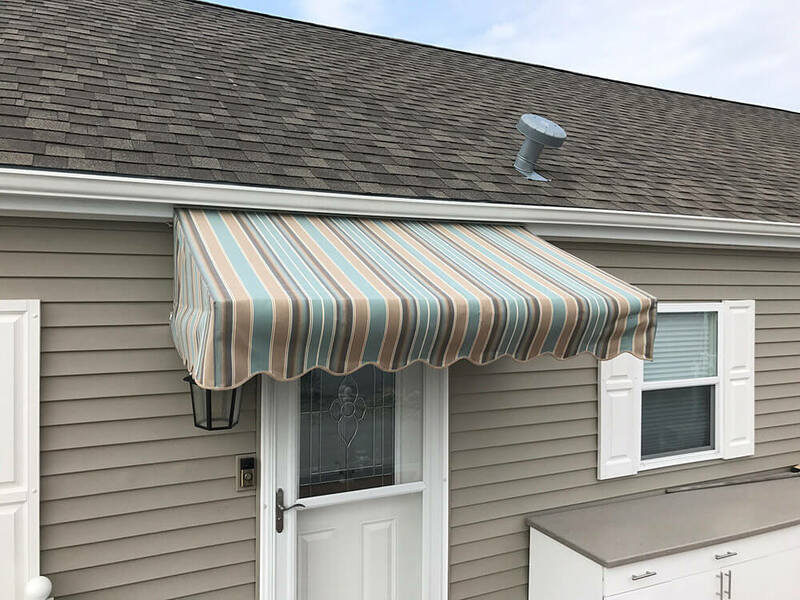 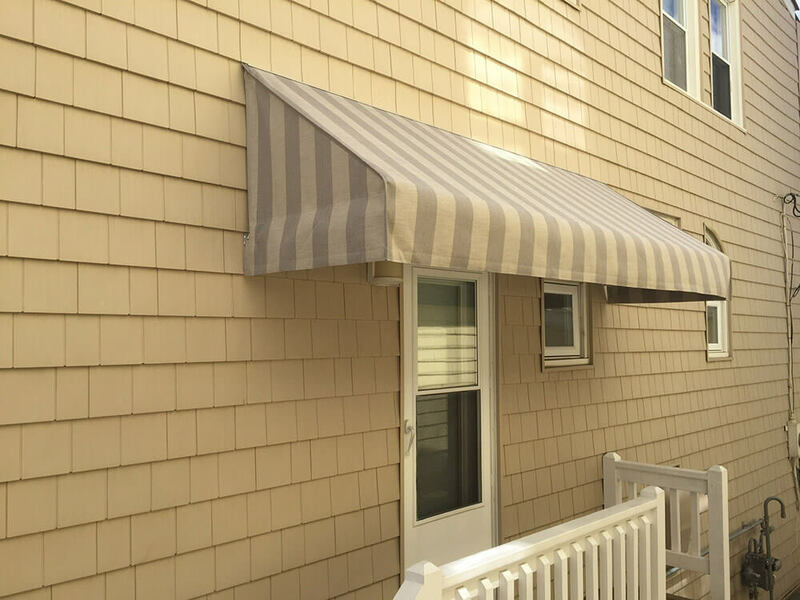 The awning also serves a second purpose protecting your door and even some light fixtures, prolonging their lifespan and use on your home. 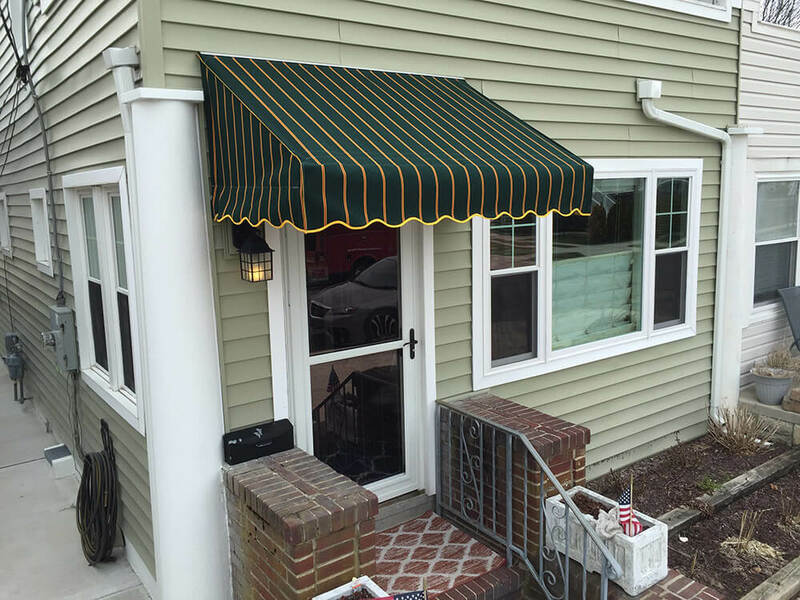 We offer these awnings in all our acrylic fabric selections that can be found in our Materials section. 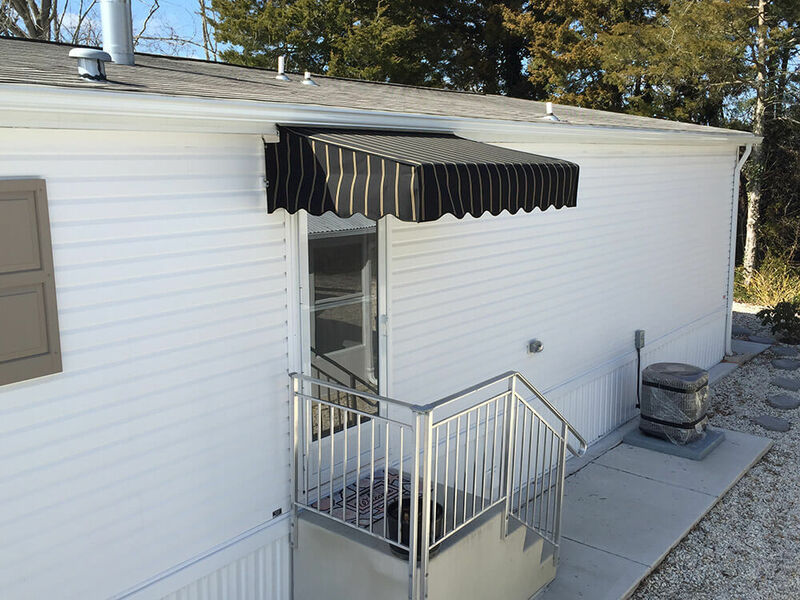 • With your welded frame, you will not have to have your awning taken down yearly, but the option is still available. 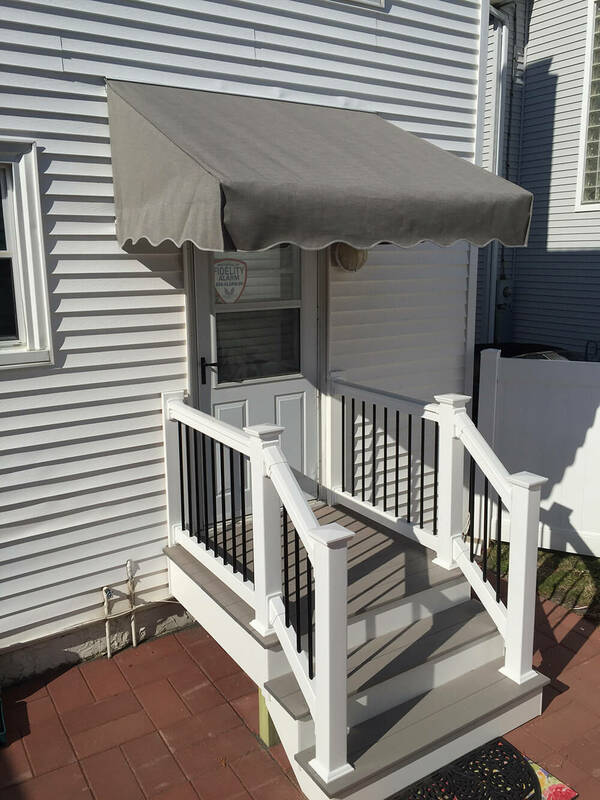 Please contact us today to arrange your free estimate.